Microsoft acquired Hotmail in 1997 for an estimated $400 million and launched it as MSN Hotmail, later rebranded to Windows Live Hotmail as part of the Windows Live suite of products. Microsoft released the final version of Hotmail in October 2011, available in 36 languages. It was replaced by Outlook.com in 2013. Hotmail service was founded by Sabeer Bhatia and Jack Smith, and was one of the first webmail services on the Internet along with Four11's RocketMail (later Yahoo! Mail). It was commercially launched on July 4, 1996, symbolizing "freedom" from ISP -based email  and the ability to access a user's inbox from anywhere in the world. The name "Hotmail" was chosen out of many possibilities ending in "-mail" as it included the letters HTML, the markup language used to create web pages (to emphasize this, the original type casing was "HoTMaiL"). The limit for free storage was 2 MB. Hotmail was initially backed by venture capital firm Draper Fisher Jurvetson. By December 1997, it reported more than 8.5 million subscribers. Hotmail initially ran under Solaris for mail services and Apache on FreeBSD for web services, before being partly converted to Microsoft products,   using Windows Services for UNIX in the migration path. 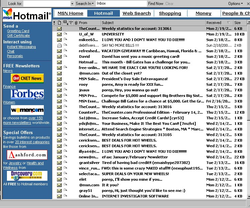 Hotmail was sold to Microsoft in December 1997 for a reported $400 million, and it joined the MSN group of services. Hotmail quickly gained in popularity as it was localized for different markets around the globe, and became the world's largest webmail service with more than 30 million active members reported by February 1999. 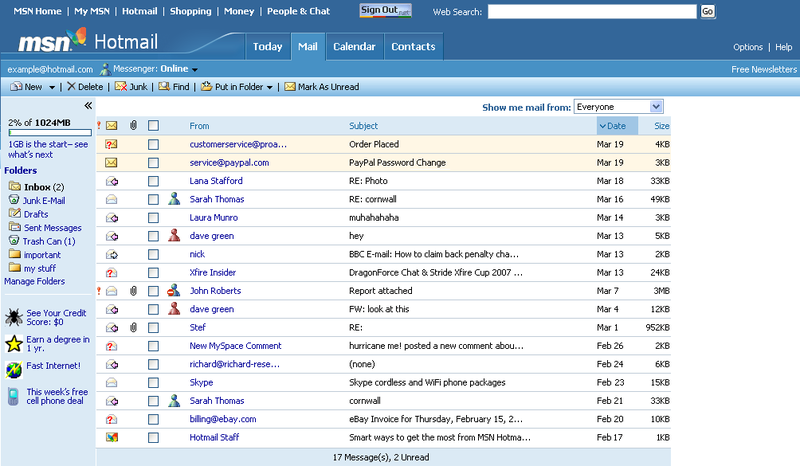 Hotmail originally ran on a mixture of FreeBSD and Solaris operating systems. A project was started to move Hotmail to Windows 2000. In June 2001, Microsoft claimed this had been completed; a few days later they retracted and admitted that the DNS functions of the Hotmail system were still reliant on FreeBSD. 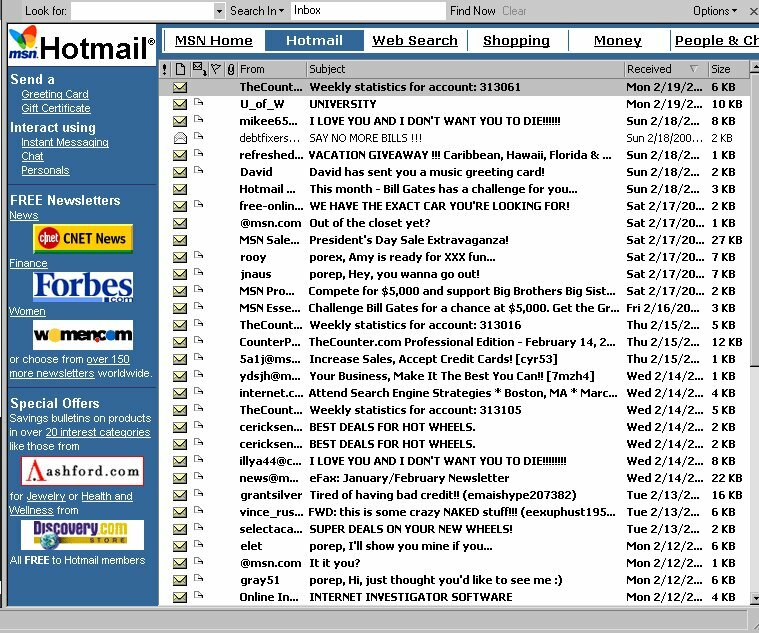 In 2002 Hotmail still ran its infrastructure on UNIX servers, with only the front-end converted to Windows 2000. Later development saw the service tied with Microsoft's web authentication scheme, Microsoft Passport (now Microsoft account), and integration with Microsoft's instant messaging and social networking programs, MSN Messenger and MSN Spaces (now Windows Live Messenger and Windows Live Spaces, respectively). In 1999, hackers revealed a security flaw in Hotmail that permitted anybody to log into any Hotmail account using the password 'eh'. At the time it was called "the most widespread security incident in the history of the Web". In 2001, the Hotmail service was compromised again by computer hackers who discovered that anyone could log into their Hotmail account and then pull messages from any other Hotmail account by crafting a URL with the second account's username and a valid message number. It was such a simple attack that by the time the patch was made, dozens of newspapers and hundreds of web sites published exact descriptions allowing tens of thousands of hackers to run rampant across Hotmail. The exploitable vulnerability exposed millions of accounts to tampering between August 7, 2001 and August 31, 2001. In 2004, Google announced its own mail service, Gmail. Featuring greater storage space, speed, and interface flexibility, this new competitor spurred a wave of innovation in webmail. The main industry heavyweights – Hotmail and Yahoo! Mail – introduced upgraded versions of their email services with greater speed, security, and advanced features. Windows Live Hotmail was awarded PC Magazine ' s Editor's Choice Award in February 2007, March 2007, and February 2011. On May 18, 2010, Microsoft unveiled the "Wave 4" update of Hotmail, which offered features such as 1-click filters, active views, inbox sweeping, and 10 GB space for photos, Microsoft Office documents, and attachments. It also included integration with Windows Live SkyDrive and Windows Live Office, a free version of Microsoft's Office Web Apps suite. 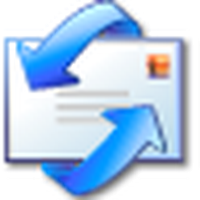 The new version began its gradual release to all Hotmail users on June 15, 2010  and was completely rolled out on August 3, 2010. Exchange ActiveSync support was enabled to all Hotmail users on August 30, 2010, allowing users to sync their mail, contacts, calendar and tasks to their mobile devices that supports the protocol. Addition of full-session SSL was released on November 9, 2010. Throughout 2011, Microsoft added several new features to Hotmail, such as aliases  and speed improvements. 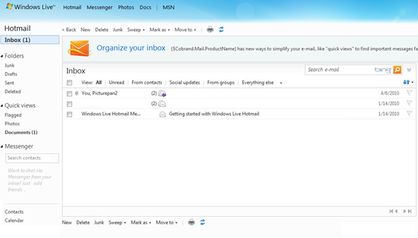 In October 2011, Microsoft unveiled a "re-invented Hotmail", and added many new features such as Instant Actions, scheduled Sweep, and Categories    and this update began fully rolling out on November 9, 2011. This update also made SSL enabled by default on all accounts. 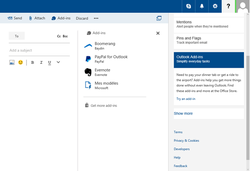 Similar to other major webmail services, Outlook.com uses Ajax programming techniques and supports later versions of Internet Explorer, Firefox, Safari, and Google Chrome. Some of its features include keyboard controls giving the ability to navigate around the page without using the mouse, the ability to search the user's messages including structured query syntax such as "from: ebay ", message filters, folder-based organization of messages, auto-completion of contact addresses when composing, contact grouping, importing and exporting of contacts as CSV files, rich text formatting, rich text signatures, spam filtering and virus scanning, support for multiple addresses, and different language versions. Outlook's contacts management service was originally known as Windows Live Contacts and before that, Windows Live People. 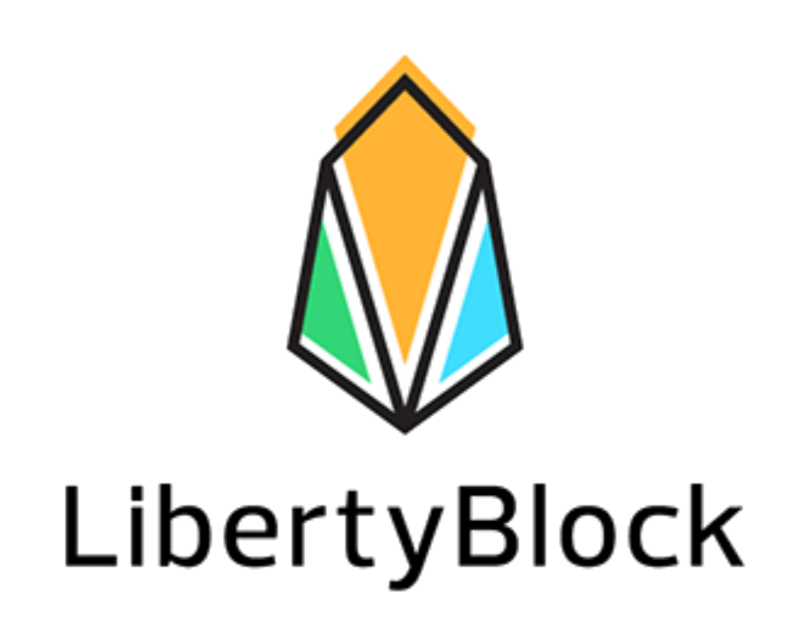 It provides users with access to their contacts' profiles and information, allowing them to share different information with different groups of people. Besides an address book, People also provides integrated services with social media, such as Facebook and Twitter. The service was rebranded to its current name in 2012, introducing a new interface based on the Metro design language that had already been introduced with Outlook.com. 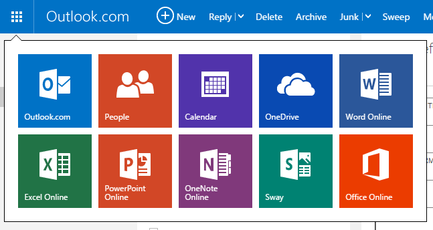 Outlook.com offers a "virtual broom" which allow users to delete or move large amounts of emails into specified folders based on the sender's information. Once a "sweep" is performed, the user may choose to configure Outlook.com to remember the sweep settings and perform the same move or delete actions for any future emails. 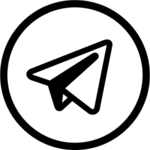 Users may also set up custom message rules based on the sender's or recipient's information, the subject of the email, or attachments to the email. There is also an option to delete/move messages that are older than a specified amount of days, or only keep the latest message from a sender. Users can create additional, unique email addresses, called aliases, for their Microsoft account. As of April 17, 2013, users can now sign in with any alias and create up to 10 aliases per year for a total of up to 10 addresses. For a given account, all aliases uses the same inbox, contact list, and account settings—including password—as the primary address. Once an alias is set up, users can choose to have all email sent to that address go to the inbox, or to a different folder. Emails sent from an alias do not reveal to recipients that they come from an account with other addresses. Microsoft has released client applications for Android and iOS, allowing users to access their inboxes and send new messages. 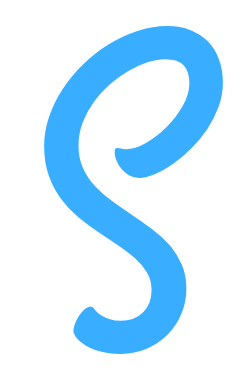 The apps were formerly known as Acompli, which was acquired by Microsoft in December 2014, and were rebranded as Outlook Mobile in January 2015. The ability to associate Outlook.com accounts with mobile phones or other email addresses was initially advertised as an optional feature. However, an update in 2013 required many users to associate their accounts before the website would allow them to log in - a refusal which could be sidestepped by using an app, such as Windows Live Mail 2011 or 2012, to access the account instead of a web browser (and it remains possible to "associate" an account with a one-use, or otherwise 'disposable', e-mail address). Some users also saw messages that their accounts would expire if they continued to use them anonymously. 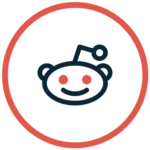 All information for Outlook.com's wiki comes from the below links. Any source is valid, including Twitter, Facebook, Instagram, and LinkedIn. 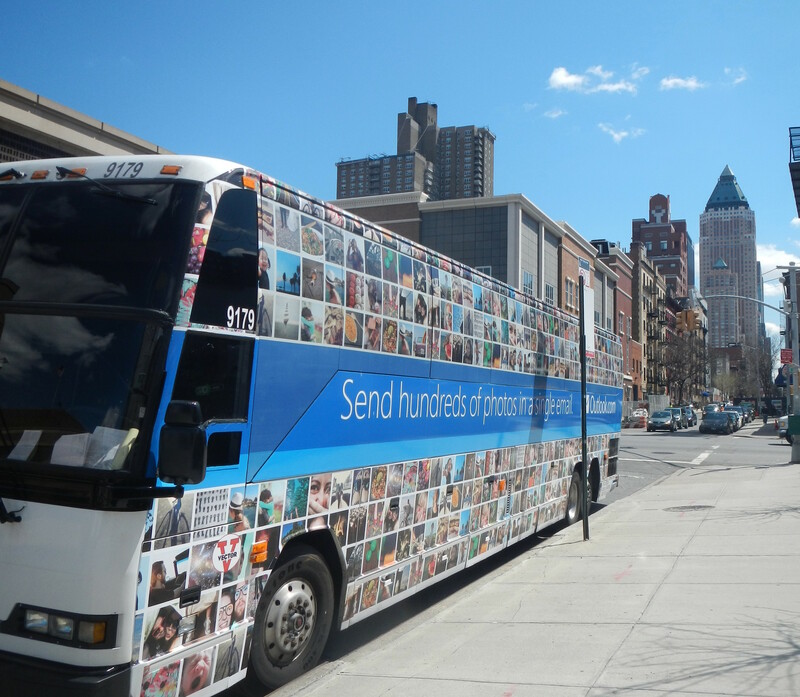 Pictures, videos, biodata, and files relating to Outlook.com are also acceptable encyclopedic sources. "Converting a UNIX.COM site to Windows"
"Microsoft Hotmail still runs on U**x"
"Hotmail Hackers: 'We Did It'"
"Hotmail hole leaves email open to view"
"Outlook.com vs. Gmail: What Microsoft is Still Missing"
"Farewell Hotmail: Microsoft Completes Outlook.com Upgrade"
"Yahoo Shuts Down Mail Classic, Forces Switch To New Version That Scans Your Emails To Target Ads"
"Hotmail rollout picks up steam!" "M7 new code shipping soon – not yet here!" "Buying Guide: Web E-Mail Clients"
"[Fix] Windows Live Mail Stopped Syncing Hotmail, Outlook and Other Microsoft Email Accounts"
"Outlook.com leaves preview as the world's fastest growing email service going from 0 to 60 million in just 6 months"
"Hotmail: Classic scrolling is back, and more updates"
"Google fakes out Hotmail for Chrome support"
"Windows Live Web Messenger goes into dogfood"
"Re-inventing Windows Live Hotmail – the next generation of personal email"
"The new Hotmail is now available to everyone"
"Hotmail now supports push email, calendar, and contacts with Exchange ActiveSync"
"Hotmail delivers aliases to help you manage and secure your email account"
"Instant email: how we made Hotmail 10x faster"
"Hotmail declares war on graymail"
"Hotmail updated to include Gmail-like labelling and more Outlook features"
"New Hotmail begins rolling out, coming to all customers in "next few weeks""
"Introducing Outlook.com - Modern Email for the Next Billion Mailboxes"
"One year since the preview of Outlook.com – thank you for helping us build the world's fastest growing email"
"Microsoft updates Outlook.com with new features and user interface"
"Microsoft's Outlook.com beta is a smarter inbox with more GIFs"
"Hands on with the newly overhauled Outlook.com, or "Outlook on the web""
"Outlook.com expands preview, begins partner add-in rollout"
"Microsoft readies new Outlook.com, Outlook on the Web features"
"4th Network Hotels Get Wired with Hotmail E-mail Service and High Speed Internet Access; Hotmail and 4th Network Ink Agreement to Keep Business Travelers Connected"
"Microsoft: Windows Live Mail 2012 will not connect to new Outlook.com - MSPoweruser"
"Microsoft goes after Google with attack on Gmail privacy"
"Outlook.com tips to try - Keep your stuff private"
"Dump Gmail for Outlook.com? Four reasons you might"
"Former Microsoft employee arrested for allegedly stealing Windows 8 trade secrets"
"Microsoft admits reading Hotmail inbox of blogger"
"Microsoft defends its right to read your email"
"Microsoft Says: Come Back with a Warrant, Unless You're Microsoft"
"Microsoft Looked Through Reporter's Hotmail And MSN Chat Accounts To Identify Windows 8 Leaker"
"Opinion: Microsoft's Photos fragmentation is driving me mad - MSPoweruser"
"Microsoft sniffed blogger's Hotmail account to trace leak"
"What's really behind Microsoft's investigation into software leaks?" "Microsoft will no longer look through your Hotmail to investigate leaks"
"We're listening: Additional steps to protect your privacy"
"Outlook.com increases security with support for DMARC and EV certificates"
"Microsoft Adds Two-Step Verification for Microsoft Accounts"
"A quick look at security features on Microsoft's new Outlook.com email service"
"Take control of your schedule with a modern calendar experience for Outlook.com"
"People app help - Windows Help"
"Save emails directly to OneNote with Outlook.com"
"Type Less. Talk More. Make Skype Calls Directly From Your Outlook.com Inbox"
"Add an Outlook.com alias to your account"
"Microsoft to kill Hotmail via Outlook Express on September 1"
"Microsoft kills off Outlook.com Premium, bundles features into Office 365"
"POP3 Technology Has Now Rolled Out To Hotmail Customers Worldwide"
"A short history of Hotmail"
"Outlook.com Mail: Microsoft Reimagines Webmail"
"Microsoft announces massive Hotmail update to better combat Gmail"
"Windows Live Hotmail Reviewer's Guide: What's new in Hotmail"
"Hotmail introduces hacking alert system"
"Windows Live Hotmail Launches Worldwide in 36 Languages"
"We are the Outlook.com team, Ask us anything!" "Gmail, Yahoo and Hotmail's CAPTCHA broken by spammers"
"Outlook.com Bests Gmail’s Filters With A New Inbox Automation System"
"What if I no longer have access to my secondary email address?" "Windows Live Hotmail Fact Sheet"
"Microsoft is trying to get my phone number"
"New ways to get more done in Outlook.com"
"How Microsoft handed the NSA access to encrypted messages"
"What you need to know about Outlook.com as Microsoft brings it out of preview"
"Sabeer Bhatiya: The founder of "Hotmail.com""
"Solaris calls Hotmail shots for Microsoft"
"Microsoft uses Solaris servers for Hotmail shock"
"Planning Guide for Migrating Microsoft Hotmail from FreeBSD to Microsoft Windows 2000 Technical Case Study"
"MSN Hotmail: From Zero to 30 Million Members in 30 Months"
"Add your Outlook com account to another mail app"
Other wiki pages related to Outlook.com.